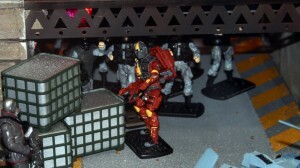 SDCC 09 – New G.I. Joe figures Charbroil & Nano-Viper | The Fighting 1:18th! 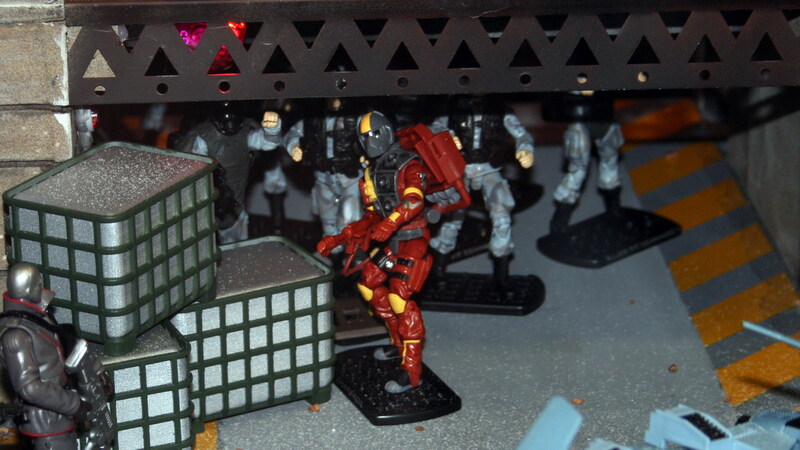 These two figures were shown off at the San Diego Comic Con 2009 in the Hasbro HUGE diorama display. They will be "officially" announced tomorrow at the panel, but the designers stuck them in the booth today as a sort of "easter egg". 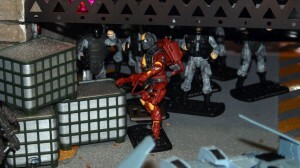 These two figures were shown off at the San Diego Comic Con 2009 in the Hasbro HUGE diorama display. They will be “officially” announced tomorrow at the panel, but the designers stuck them in the booth today as a sort of “easter egg”. The Charbroil figure looks pretty cool, I am not in love with the red, but since he burns things for a living I guess I can understand the camo choice! The mask looks a little strange, and it may be better as a different color, but we’ll see if this is a final version or not. This figure is going to be part of the “wave 4” figures, set to be released in 2010 I believe. It will be officially announced tomorrow though at the Hasbro/Joe panel, so we’ll see what they say. Another new figure shown in the diorama was the Nano-Viper, in its signature GREEN coloring. 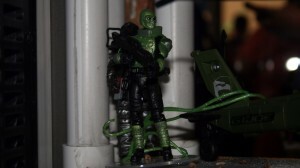 Essentially it is a basic Neo-Viper with a green glowey paint job. I assume the green is to represent the nanomite things from the movie infusing the figures… or something. 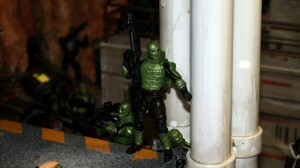 Previous: The Fighting 1:18th invades San Diego Comic-Con 2009! As usual, these are awesome photos and reviews, bud. Thanks for sharing this awesome intel with us!